Creekside is a quiet conservation site located just off Highway 192. 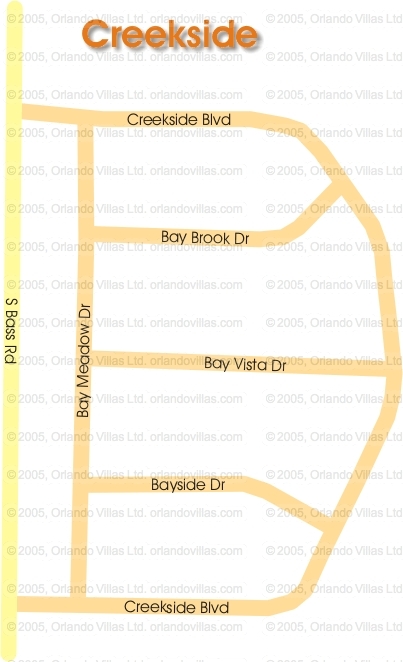 The World of Disney is some 10-15 minutes drive along Highway 192 and International Drive and Florida Mall are also easily accessible from this location. This well managed site is clean with owners take pride in their properties and gardens. 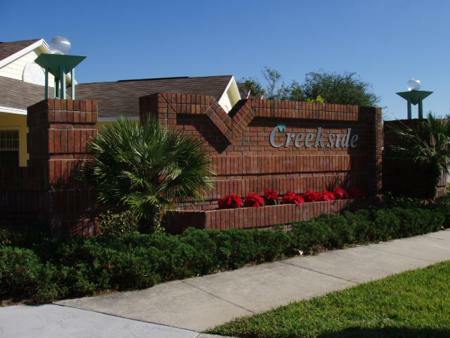 One great advantage to Creekside is the close proximity to Wal-Mart which is located within 10-15 walking distance and is open 24 hours daily. Renters and owners can also enjoy the lovely lake on Creekside which makes a great setting for a picnic.